Even after the shut down of major torrent websites, such as KickAss Torrents, torrent still remains to be one of the most widely used ways of file sharing. However, you cannot download torrent files like you normally do other types of files. But instead you need to have a torrent client, also called torrent downloader, installed on your computer. It is a special kind of program that downloads the actual movie and music files that the torrent file is pointing to. We have already introduced about the 6 Best KickAss Torrents Alternatives in our earlier post. 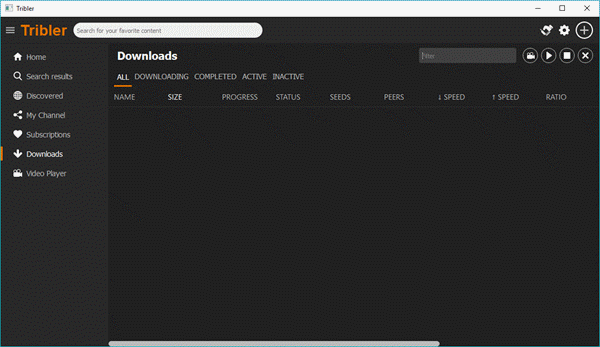 Now in this article, we have come up a list of best torrent clients for Windows that you can use for downloading torrents in 2019. These downloaders are mostly free of charge, and provide excellent functionality, speed and features. Keep reading and pick a torrent client works best for your needs to download torrents. Web Torrent is our first pick included in the best torrent clients list. Basis on customer reviews and our experience, it is by far the easiest torrent client for users who want to keep themselves away from confusing features. It first came in 2017 with a really simple outlook and retain its simplicity yet in 2019. The download system is very easy too. Just paste the magnet URL or torrent file in the main window and it will start downloading your torrent file in a second. This free torrent client is very new compared to BitTorrent. But it gives the advantage to run inside a web browser without installing anything. And now it releases its app version for Windows and other operating systems. 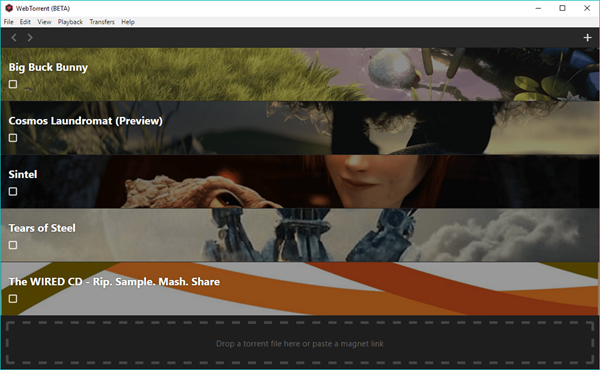 The Web Torrent Windows app comes with a simple and minimalistic interface for torrent download, and provides option like a built-in player to watch downloaded videos, add external subtitles, stream video content to Chromecast device, etc. Tribler is the best torrent downloader program with an anonymity cover. It comes with Tor-like onion network which will protect the anonymity of the users effectively. So, how does it works? Tribler cuts their direct link to the BitTorrent swarm and places their three daisy-chained proxy server in between. But there is still some place for improvement in Triber. It only works for peers or torrent downloaders. You need to change the anonymity setting in the Settings menu. There is also an option available where you can configure your PC to act like a Tribler proxy. And it does not look like other torrent clients, which features some interesting feature like media player, bandwidth management and family filter. BitTorrent is not only the first but also one of the best torrent clients on the web. Don’t get confused with the outlook of it, which is similar to uTorrent in likewise. It has a large user base, and contains a lot of features which can be of great help to users. 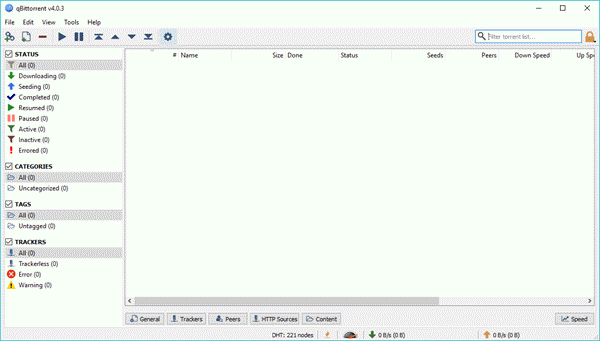 This powerful torrent client organizes torrent download in various categories and provides more technical details than other programs such as Web Torrent. It has an inbuilt search box which opens in a web browser, then users can easily find torrents. Also, it provides a variety of settings, such as limit bandwidth usage, download scheduler, put a data cap, manage paired devices, run a program when the download is finished, etc. 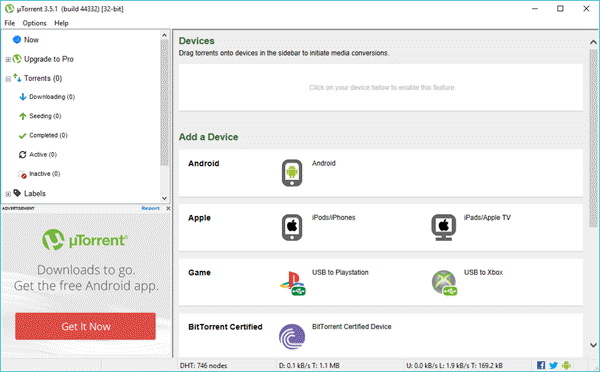 uTorrent, also know as “u-torrent” and “micro torrent”, is one of the most popular free torrent clients out there. Actually, it is a very tiny BitTorrent alternative which developed by BitTorrent Inc. In 2005. uTorrent is super lightweight and packed with all functions that similar to BitTorrent. There is almost no difference between the two torrent clients in terms of looks and features. One thing that sets the two downloaders apart is the uTorrent web app. 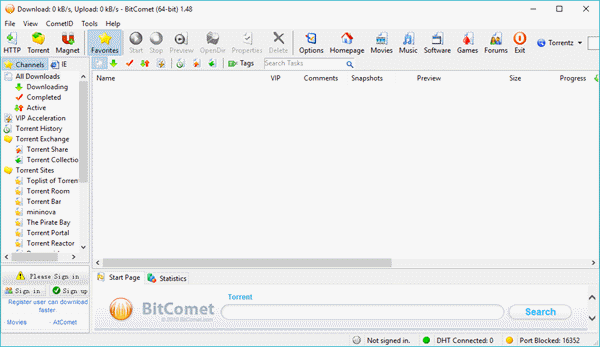 BitComet not only works as a great torrent downloader program, but also the best downloader manager for Windows. Actually, it is primarily developed to works as a torrent downloader for Windows. It presents the common features that other torrent client has, but also has some special features that make it different from others. BitComet features a long-term seeding, which can fetch data from other peers who have 100% of the torrent file. It is helpful when all the seeders go offline and the torrent gets stuck. Besides, it gives intelligent disk caching option which can prevent any performance impacts. Another software included in the best torrent clients list is Vuze. 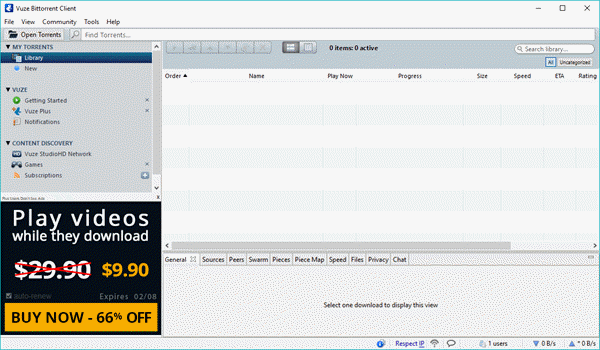 It is a simple and feature-packed torrent downloader for beginners. Its interface is very simple to understand. It also includes a built-in web and metasearch tool to keep users within the boundaries of the torrent software. Also it has its own network of high-quality torrents from official sources. And the Swarm discoveries feature will suggest torrents similar to the torrents you download. More interestingly, you can chat with other Vuze users and share torrent files. In the same LAN, you can even convert and transfer files directly to the connected device. What’s more, this torrent client also supports iTunes integration. When search for a free and open source torrent downloader for Windows, you should not miss qBittorrent. It is the best free torrent client, completely free from advertisements and promotional pop-ups. Besides, it keeps things as simple as possible and doesn’t has loads of extra features or plugins like other clients. If you’re looking for a simple torrent client that covers the essential functions, qBittorrent is an excellent choice. 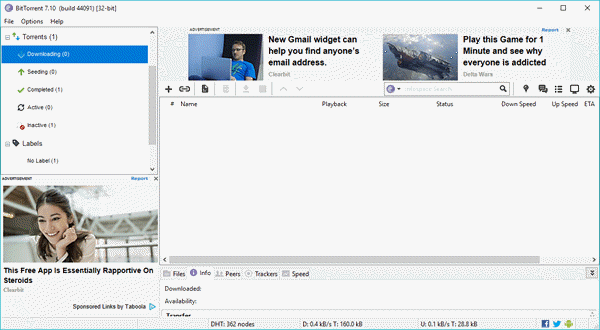 This torrent software does have essential features, including a web-based remote control, prioritization of torrents, IP filtering, selective file download, and even creating torrents. In this post, we try to feature the top 7 best torrent clients for Windows. From the above discussion, you can feel that every torrent client is capable to give you the best. Now, it is your term to pick one that suits you most. If you have more suggestions for this list, please feel free to share with us in the comment section below. If you are using a Mac, please refer to the Top 10 Best Torrent Sites for Mac to Download Torrents.